If you have been charged with possession, distribution and manufacturing of a controlled substance in the Denver metro area, you may be facing serious consequences and might not know where to turn. 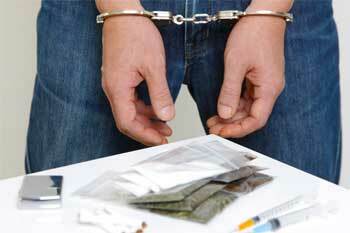 You need a drug crimes attorney in Denver with a proven track record of success in these types of cases. The war on Drugs has failed. There has been a shift of policy in Colorado from incarceration to treatment for drug users. Unfortunately, drug dealers are treated harshly and given long prison sentences. Colorado drug laws for simple possession of a controlled substance have been designed to give people a chance at treatment. The sentencing ranges have changed in recent years and the focus has moved away from incarceration and towards treatment. Often times, defendants are classified as distributors of controlled substances and distributors of controlled substances are often sent to prison. A good attorney will have extensive knowledge of these laws; knowledge he can put to work to better understand your case and build a strong defense. Denver drug Crimes Attorney Richard B. Huttner will thoroughly investigate your case, consult with forensics experts and other specialists, and fight aggressively to defend your rights in the courtroom. Colorado Statutes dealing with drug crimes changed in October of 2013. Some changes were for the better and some were for the worse. The key element in these cases is the conduct of law enforcement. Often times their conduct violates your constitutional rights. An experienced criminal defense attorney can challenge the police conduct and often times get your case dismissed. Many Colorado counties have faced the reality that the war on drugs has failed. Some counties take a treatment approach to drug offenders. If you are accused of possession of a small amount of controlled substances you have a chance of being placed in a treatment based court. However, if you are charged with possession with the intent to distribute controlled substances you face a harsher approach by prosecutors. Richard has had success in challenging the conduct by the police and preventing the evidence the police obtained from being used against his clients. The Fourth Amendment of the United States Constitution gives you the right from unreasonable search and seizure. Often the police violate your rights to obtain evidence against you. He will do everything possible to protect your rights and make the government prove the case beyond a reasonable doubt. The key battle in cases revolves around the police conduct. The initial contact, the reasonable suspicion to contact the individual, the reasonableness of any search and the actual search. Police always say the defendant consented to the search and, not surprisingly, the consent to search is rarely granted absent some coercive action on the part of law enforcement officers. Attorney Richard Huttner is an experienced defense attorney who has experience in handling drug crimes throughout Colorado. When facing drug possession or distribution charges, you need an attorney who will put you first and keep your best interests in mind at all times. Contact Richard at any time, day or night, to schedule a free initial consultation.